I was out to lunch with a friend looking to have a nice conversation in a relaxing environment over a light meal, so what better place to do so than the State Street Grill in Clarks Summit? State Street is renowned in the area for it's classy yet relaxed bar and dining room, but the real crowned jewel is the outdoor patio area which is second to none. It seems like every night that I drive by from March through October, the patio is jam-packed with people mingling, eating, and enjoying some high end spirits. I would have loved to sit outside, but since winter seems to already be upon us, we had to sit in the dining room, which is just as relaxed and comfortable but without the outdoor novelty. I sat down ready to order some sort of sandwich or salad like normal people do, but what do I spot at the very top of the lunch menu?! MARGHERITA PIZZA! I don't get to State Street often, so I knew I had to capitalize on the opportunity. My buddy stuck to the program and ordered the fish wrap, which he said was very good, but I of course couldn't help myself knowing there was another pizza in Clarks Summit that needed to be reviewed! (Just when I thought my Guide to Pizza in Clarks Summit was complete!). 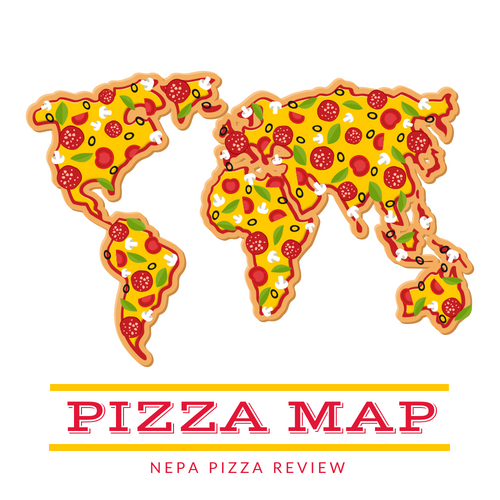 So, instead of taking the opportunity to be a normal person, I had to do my due diligence for the pizza lovers of NEPA and order the pizza. We placed our order and soaked in the relaxing environment. I noticed that the front dining room was quite busy, so I surmised that this was probably a pretty popular lunch spot. I wondered what the "Raw Food Pharmacy" that was advertised on the sign was. I looked around for a bit, but didn't see anything from my vantage point. The website says that it offers smoothies and juices Monday-Saturday starting at 7:00 am. I thought it was an interesting idea, especially for health food nuts. Anyway, we chatted away for a bit and before long, our very friendly and courteous server was at our table with our lunch. I wasn't really sure what to expect, as I've found "Margherita Pizza" is sort of loosely defined in Northeast Pennsylvania, but what I received was essentially a flatbread pizza. I've had limited success with finding good flatbread pizza, so I hoped that this would be a winner. The size of the pie was essentially a dinner plate, so this would best be served as an appetizer for several people or a lunch for one person. 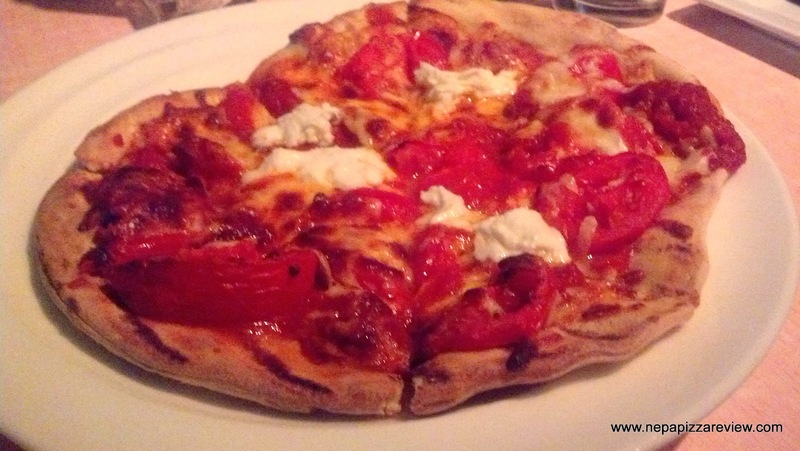 The pizza itself was moderately pleasing to look at with very rich colors and thick slices of plum tomatoes and cheese covering the top. 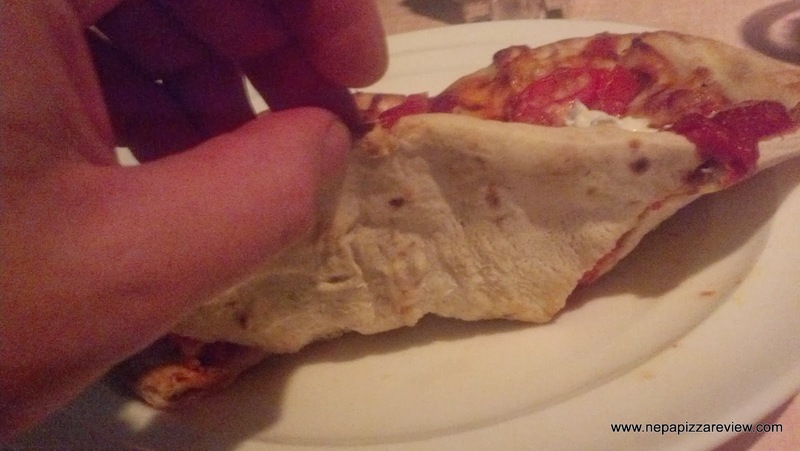 I reached for my first mini-slice and found some difficulty picking it up. The pizza sort of fell apart any way I tried to secure it, so I had to resort to knife and fork feasting. I took my first bite, and I immediately noticed a little heat - a pleasant little kick in the form of some type of pepper in the sauce (or on the tomatoes). I didn't get a chance to look closely to find the source of the heat because it is pretty dark in the dining room and I wasn't going to be rude and dissect my food and bring the conversation to a screeching halt! I did enjoy the spiciness, but it was in no way overpowering for those of you who don't like the heat. The tomatoes made the pie unique, but I think I prefer a nice hearty sauce. The cheese was a blend of fresh mozzarella and a few others that I would be wrong if I guessed - similar to a cheddar to my taste. The cheese sauce balance was complex and varying. This pie was more of a culinary creation than most of the simpler (and more popular) pizzas in NEPA. Finally, the crust was crispy around the edge, but quite soggy in the middle, just as most flatbreads are. I think if this was served on a flat tray, rather than a plate which gathers the juices in the center, it would have helped distribute the juices more evenly. Overall, I moderately enjoyed the pizza. For the record, my cell phone camera photos do not do the pizza any justice. I appreciated the effort and the complex flavors, but I wasn't on the same page as this pie. It seems that this was created by a talented chef rather than a pizza maker (with complete respect to both types of food preparers!) judging by the complex flavors and fine ingredients that a chef would infuse, but somewhat lacking the simplistic execution of a pizza maker. If you have a sophisticated pallet and enjoy a little heat, then this pizza is for you. If you just want a large pie that will fill you up, you probably want to go somewhere else. 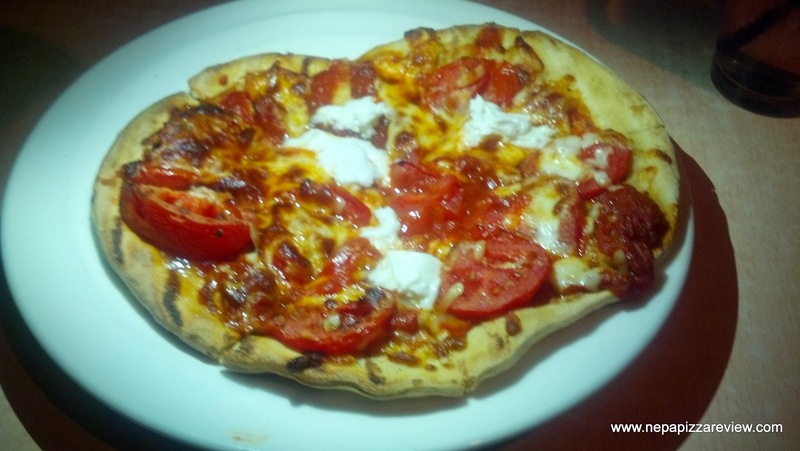 To me, you really go to State Street for the atmosphere, service, smiling faces, and conversation - but the flatbread pizza is worthy of a try as well if it fits your style.